I am not the biggest fan of the new born stage. I love my sleep and a predictable routine and newborn life does not allow for either of those luxuries. What I do love, however, is that newborns thrive on closeness. There is something so sweet about that tiny window where doctors tell you to turn around the clock and spend as much time as possible with your newborn on your chest. There’s no other time in life where that kind of closeness between humans really happens with that kind of consistency or necessity and it really is special, even if it means the Diet Coke IV must be engaged whilst it’s happening in order to be somewhat lucid during the experience. That’s why here at the PLG we loooove the wrap from Solly Baby. 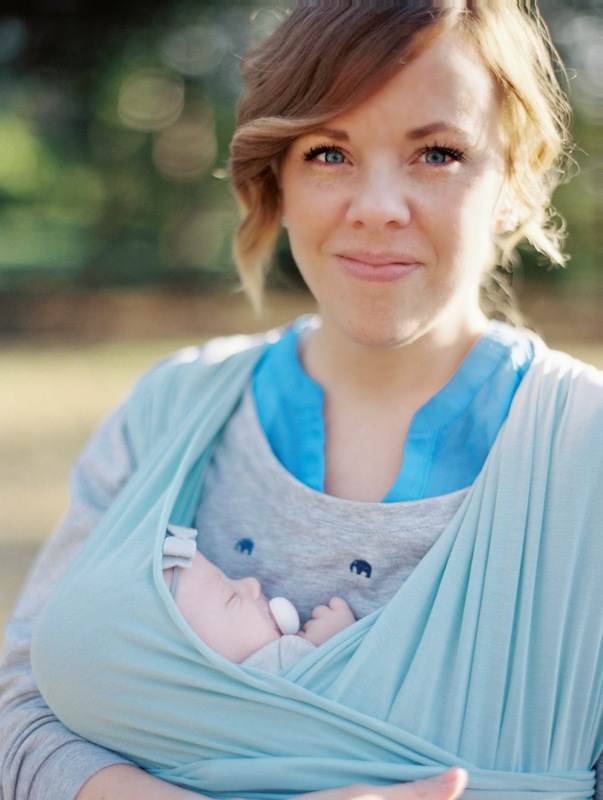 Baby wearing was new for me with this baby and it has made all the difference since I have a toddler to keep up with at the same time baby girl needs snuggles. Plus they are beautifully made, come in adorable colors and stripes, and are a piece of cake to use. Sam and I both swear by them for our little ones! I have the wrap in mint, and as you can tell from these pictures taken just days after she was born, Willa kinda likes it. Here at the PLG we love Solly Baby! I’m sure you’ll love it too. *Wrap c/o Solly Baby. Views expressed are all our own! PS. Do you have a shop or product you love that you would like featured on the PLG? Let us know at prettylifegirls@gmail.com! email me dets on this pretty girl. wondering if I take the plunge or try and make one…I've got the nesting bug way bad!